Yes, there’s modern art in Italy! Despite being better known for its Renaissance and medieval art, Italy boasts a buzzing modern and contemporary art scene, with galleries and museums featuring hundreds of Italian, and international, modern and contemporary artists. Are you a modern art lover? Here are some of our must-see museums for modern and contemporary art in Italy! MUSMA is dedicated to sculptures from the end of the 19th century onward. It also houses a selection of three-dimensional art including ceramics, jewelry and manuscripts. Hours and location: Tues. to Sun. 10am to 2pm, 4pm to 8pm (April to October), Tues. to Sun. 10am to 2pm (November to March). Located at Via San Giacomo (Sasso Caveoso), Matera. Ticket price: 5 euro, 3.50 euro reduced. For more info: www.musma.it or call +39.366.9357768. The museum’s permanent collection starts from the works reflecting the political and social state of Italy in the early 1960s and ends with new acquisitions. A museum dedicated to the artist Giorgio Morandi is included in the adjacent gallery. Hours and location: Tues., Wed. and Fri. 12pm to 6pm, Thurs., Sat. and Sun. 12pm to 8pm. Located at Via Don Minzoni, 14 Bologna. Ticket price: 6 euro, 4 euro reduced admission. For more info: www.mambo-bologna.org or call +39.051.6496611. MACRO’s permanent collection claims the work of some of Italy’s most important artists from the last 60 years. The museum also holds many different exhibits based on photography and experimental art, especially by international artists. Hours and location: Tues., Wed., Thurs., Fri., Sun. 11am to 7pm, Sat. 11am to 10pm. Located at Via Nizza, 138. Ticket price: 12.50 euro, 10.50 euro reduced admission. For more info: www.museomacro.org or call +39.06.671070400. The ultra-modern structure, completed in 2010 by “starchitect” Zaha Hadid, is an experimental home of art, architecture and photography. Its vibrant piazza often holds outdoor events and exhibitions, too. Hours and location: Tues., Wed., Thurs., Fri., Sun. 11am to 7pm, Sat. 11am to 10pm. Located at Via Guido Reni, 4A. Ticket price: 11 euro, 8 euro reduced admission. For more info: www.fondazionemaxxi.it or call +39.06.3201954. A ticket to the famous Sistine Chapel and Vatican Museum includes a visit to world’s largest collection of modern religious artwork, containing pieces from artists like Auguste Rodin, Vincent van Gogh and Paul Gauguin. Hours and location: Mon. to Sun. 9am to 6pm. Located at Viale Vaticano, 100. Ticket price: 15 euro, 8 euro reduced admission. For more info: www.museionline.info/tipologia/item/collezione-d-arte-religiosa-moderna.html or call +39.06.69884947. 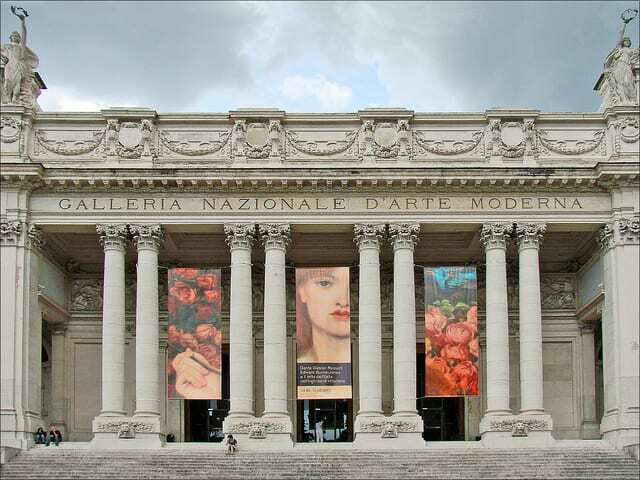 Despite the museum’s classical facade, GNAM is Italy’s national modern art museum. The large collection is divided in two parts: the 19th century, tracing Italy’s unification, and the 20th century, celebrating contemporary art. Hours and location: Tues. to Sun. 8:30am to 7:30pm. Located at Viale delle Belle Arti, 131. Ticket Price: 8 euro, 4 euro reduced admission. For more info: www.gnam.arti.beniculturali.it or call +39.06.322981. 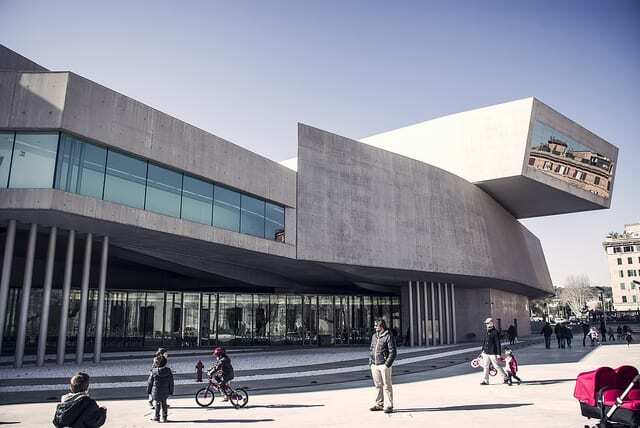 Milan’s newly-built “Museum of the 20th Century” not only holds one of the country’s most important collections of modern art, with artists like Modigliani and Picasso, but also boasts a panoramic view of Piazza Duomo, overlooking the city’s cathedral. Hours and location: Mon. 2:30pm to 7:30pm, Tues., Wed., Fri. and Sun. 9:30am to 7:30pm, Thurs. and Sat. 9:30am to 10:30pm. Located at Via Marconi, 1. Ticket price: 5 euro, 3 euro reduced admission. For more info: www.museodelnovecento.org or call +39.02.724341. 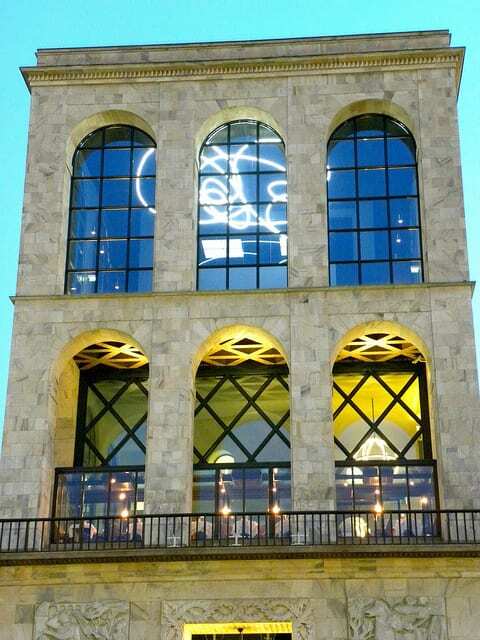 The chic museum of design and contemporary art located in Milan’s Parco Sempione offers a constantly changing selection of exhibits, ranging from everywhere architecture to fashion. Be sure to inquire about exhibit prices—some offer free admission! Hours and location: Mon, Tues., Wed., Fri. and Sun. 10:30am to 8:30pm, Thurs. 10:30am to 11:00pm. Located at Viale Alemagna, 6. Ticket price: 10 euro for an all-access ticket, 8 euro per exhibit. For more info: www.triennale.org or call +39.02.43353522. Italy’s oldest modern art collection, founded at the end of the 1800s, is home to iconic modern artists like Canova, Klee, Fontana and Warhol. Hours and location: Tues. to Sun. 10am to 6pm, Thurs. 10:30am to 11pm. Located at Via Magenta, 31. Ticket Price: 10 euro, 8 euro reduced admission. For more info: www.gamtorino.it or call +39.0114429518. 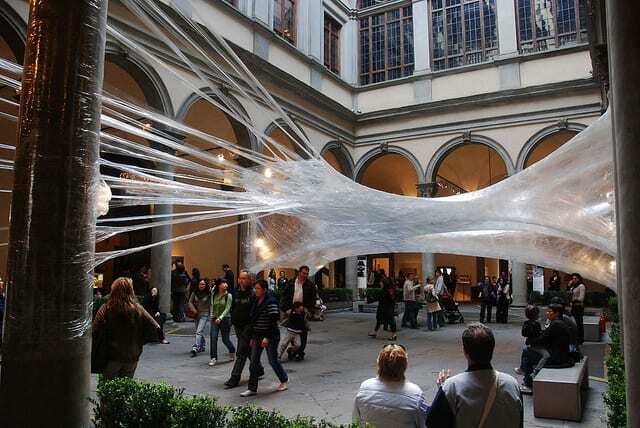 Part of the Palazzo Strozzi Museum, the Strozzina was created to open up the city of Florence to international contemporary art exhibits, mixing art forms with a wide range of topics like energy, psychology and economics. Hours and location: Tues. to Sun. 10am to 8pm. Located at Piazza Strozzi, Florence. Ticket Price: 5 euro, 4 euro reduced admission. Free admission every Thursday 6pm to 11pm. For more info: www.strozzina.org or call +39.055391711. Tucked away in the Dolomite mountains, this super-modern structure not only houses over 4,500 works of art, but also serves as a hotel for artists and designers. Hours and location: Tues. to Sun. 10am to 6pm. Located at Via Dante, 6. Ticket Price: 6 euro, 3.50 euro reduced admission. Free admission every Thursday 6pm to 10pm. For more info: www.museion.it or call +39.0471223412. This stunning museum on Venice’s Grand Canal was the former Guggenheim residence and home to the heiress’ private art collection. Now open to the public year-round, it’s where visitors can find a wide selection of Italian and American art, with a large collection of futurist pieces. Hours and location: Mon., Wed., Thurs., Sat. and Sun. 10am to 6pm. Located at Palazzo Venier dei Leoni Dorsoduro 701. Ticket price: 14 euro, 12 euro reduced admission. For more info: www.guggenheim-venice.it or call +39.0412405411. 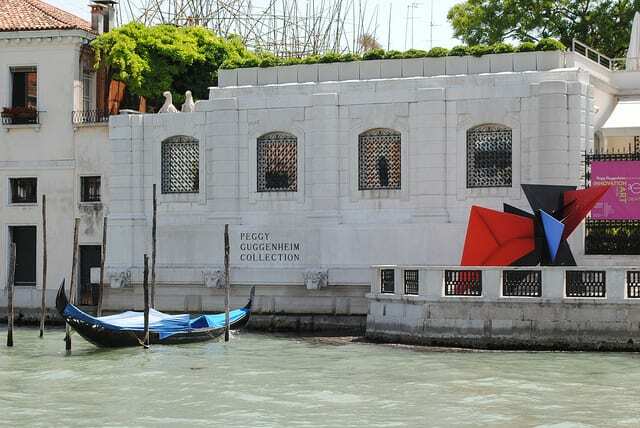 Where are your favorite modern and/or contemporary art museums in Italy? Tell us in the comments! It’s absolutely possible to OD on Renaissance art – I’ve done so in Florence! Looking forward to Novecento in Milan and will definitely add the options in Rome and Bologna while I’m there next time. Thanks for sharing this list!